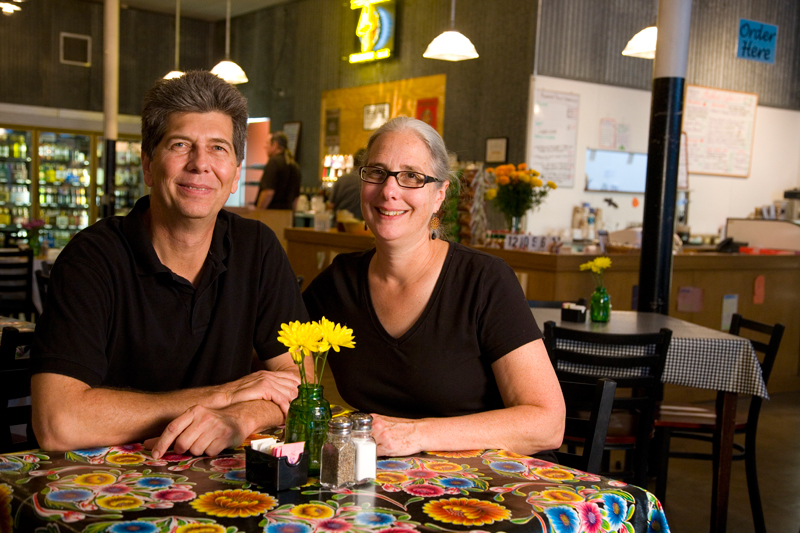 Owners Jon and Jan Brieger welcome you to the Redbud Cafe! Potters by trade, Jon and Jan have been crafting pottery by hand and selling their work at Brieger Pottery in Blanco, Texas, for over 15 years. Both the pottery shop and the cafe are located in the building that originally housed the town’s hardware store. The cafe now opens onto the pottery shop – right next door. Watch this site for updates on menu specials, our music calendar, and special events at Redbud Cafe. I have always felt that clay and dough belong together. YES! they do… and they are right next door to one another! I visited your resturant last week and loved it. I have it featured today on my personal blog and the blog I write for the San Antonio Express News. Hope the publicity will bring in some business…you have a great place! Thanks for the positive feedback and spreading the word. Hope to see you again soon! I’ve been to your place a few times and have enjoyed it every time. The relaxed atmosphere and the menu variety and quality are really enjoyable. The only complaint I’ve ever had is the crowds, which is a testament to the good food. I’ll be bringing friends with me this weekend. Thanks for what you do!